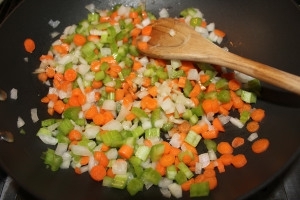 Sauté shallots, onions, celery, and carrots in butter until they are soft and onions begin to caramelize. Add sage, thyme, salt, and pepper and cook over medium heat for 2 minutes. Add wine and continue cooking over medium heat until liquid is reduced to half. In a large bowl, mix sautéed vegetables with bread cubes, chicken broth and parsley. Transfer to a baking dish and bake for 20 minutes at 325°F. This is a great stuffing that can be made gluten free and/or vegan. 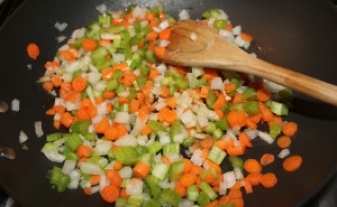 You can add finely diced sausage or alternative to the sautéed vegetables.